Lightning struck a group of 11 hikers as they reached the peak of Mount Prau on Sunday, 23 April 2017. Three hikers died immediately, while two more are still in Wonosobo Hospital receiving treatment. The hikers decided to ascend the mountain from Dieng Post even though conditions were rainy before departure. The deceased ranged in age from 28-35 years old. The mountain, which is located in Wonosobo, Central Java, is a popular tourist destination on TripAdvisor. Most travelers visiting the Dieng Plateau will ascend Mount Prau at some point. This area is home to well over 1,000 years of ancient Hindu Temples. Over 400 temples once covered, but now only 8 small temples remain. The natural, ancient beauty of the area draws hikers from all over the world. Our total lightning network detected 7,476 total lightning strikes near Central Java during a 12-hour period on 23 April 2017. The video below shows the strikes happening during the morning hours. The yellow lightning strikes represent cloud-to-ground lightning strikes. This is the type that struck and killed those hikers. The purple lightning strikes represent in-cloud lightning strikes. 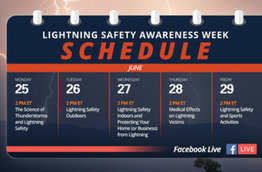 While in-cloud lightning often doesn’t make the news, it’s actually the most common type of lightning. In fact, 80% of all lightning strikes are in-cloud. The hikers struck by lightning could have sought shelter by using a mobile alerting system that monitors in-cloud lightning. 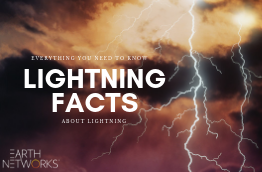 This is because in-cloud lightning is often a precursor to other forms of severe weather like cloud-to-ground strikes, hail and even tornadoes. 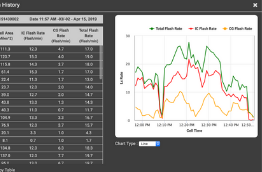 Monitoring in-cloud lightning allows companies to generate faster alerts with better lead times when severe weather approaches.